"The need to be right"
Seth Godin, the master marketer and blogger extraordinaire, had an interesting post today entitled “The need to be right.” It really struck a chord as I prepare for a leadership development program that I will be delivering next week to a group of seasoned towboat captains. 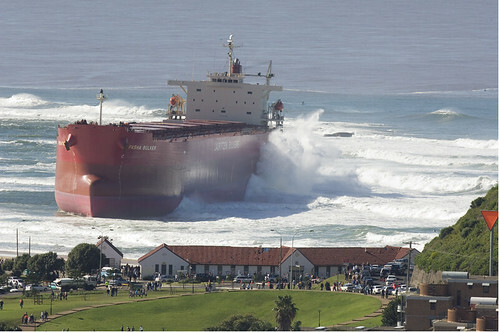 However, leaders (and captains) are human, and therefore, can’t always be “right.” In fact, there can actually be a real danger when leaders think they are always “right” as demonstrated in Telstar Logistics post on the Pasha Bulker grounding in Australia. In preparation for next week’s program I’ve been re-reading some of Ron Heifetz’s work on how leaders deal with adaptive challenges which can be defined as problems which “require new learning, innovation and new patterns of behavior.” (Parks – Leadership Can Be Taught – p. 10.) Heifetz refers to these as challenges as “swamp issues” because they can be messy, complex and defy easy / technical solutions. Adaptive challenges demand that leaders resist followers default desire for the leader to always be “right” and for many of us that isn’t easy. According to Heifetz, sometimes being the authority makes the job of leading even more difficult. I’m looking forward to the program next week where I hope we are able to explore some of the real challenges these captains face in leading from a position of ultimate authority. If any readers have similar experiences, please consider sharing them with us here at the Center for Leader Development blog. Thanks. Cross posted in The Center for Leader Development and Sea-Fever blogs.